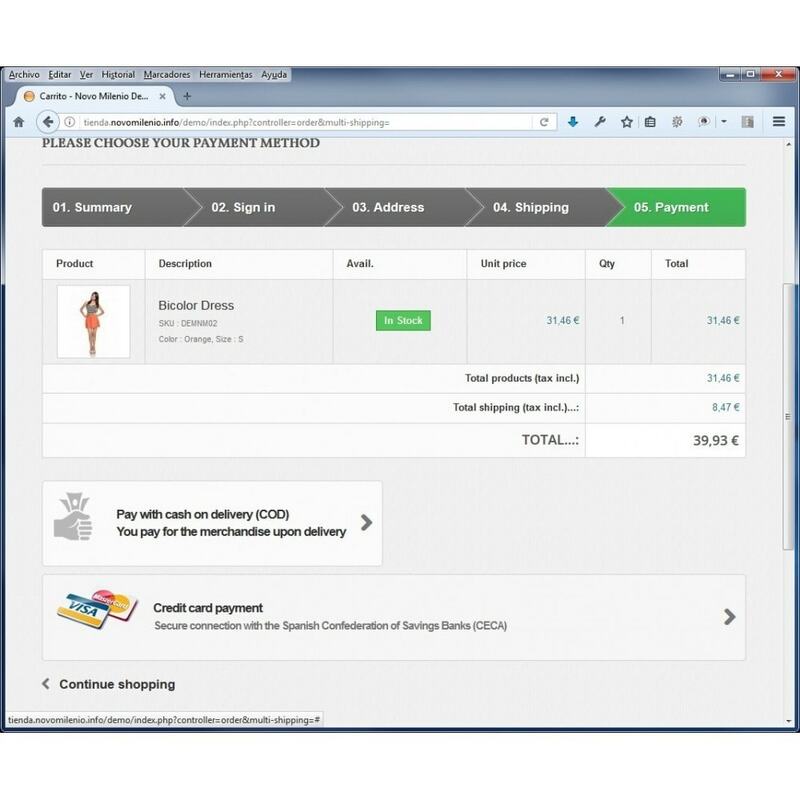 The module enables secure payments using a TPV CECA. Simple to set up, with many customization options, easy installation and configuration. Its easy installation and configuration and constant development of new features Your store customers make safe and reliable in a simple and intuitive payments. 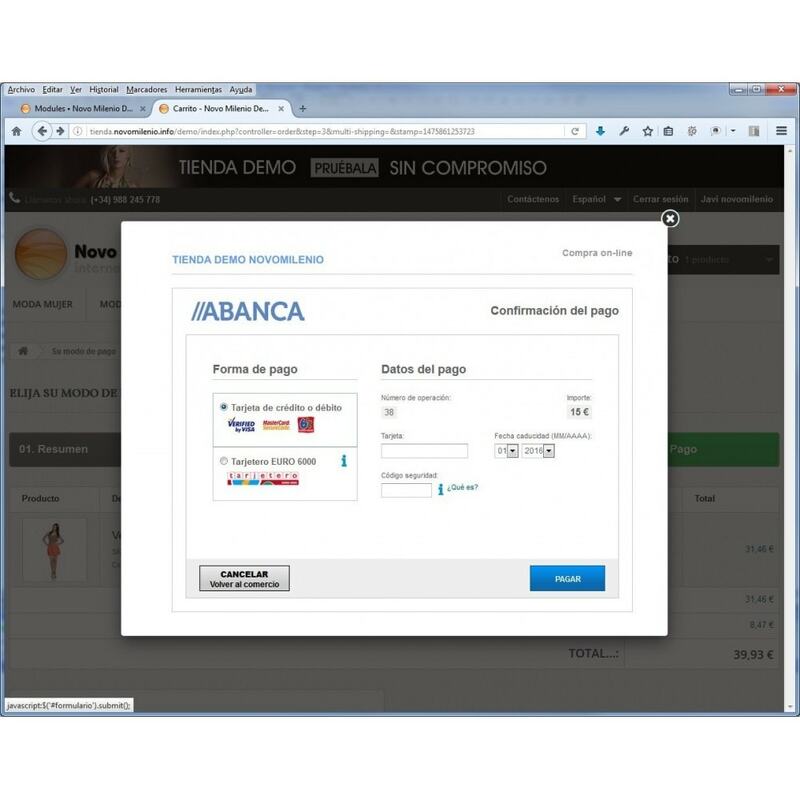 Multillenguaje, ready to be translated into any language both payment interface as configuration management area. Initially it is in English and Spanish. 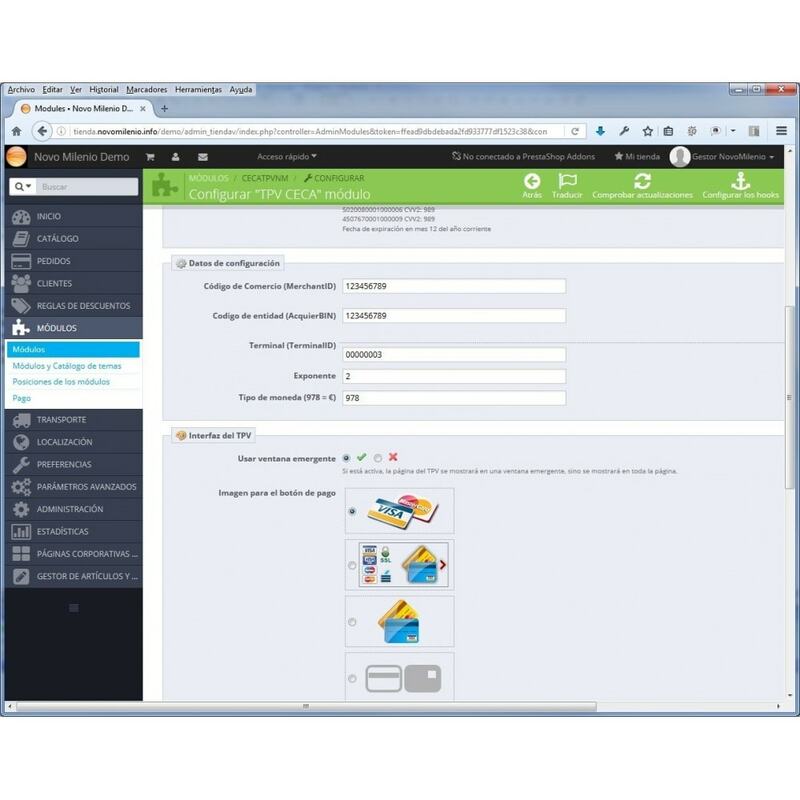 2 click installation, easy configuration and included in the Management Zone. TEST MODE notification in configuration panel, remenber to you for put module en REAL MODE. Debug information using log file, sent by e-mail optional incidents. Direct access to the administration panel TPV from the Management Zone. 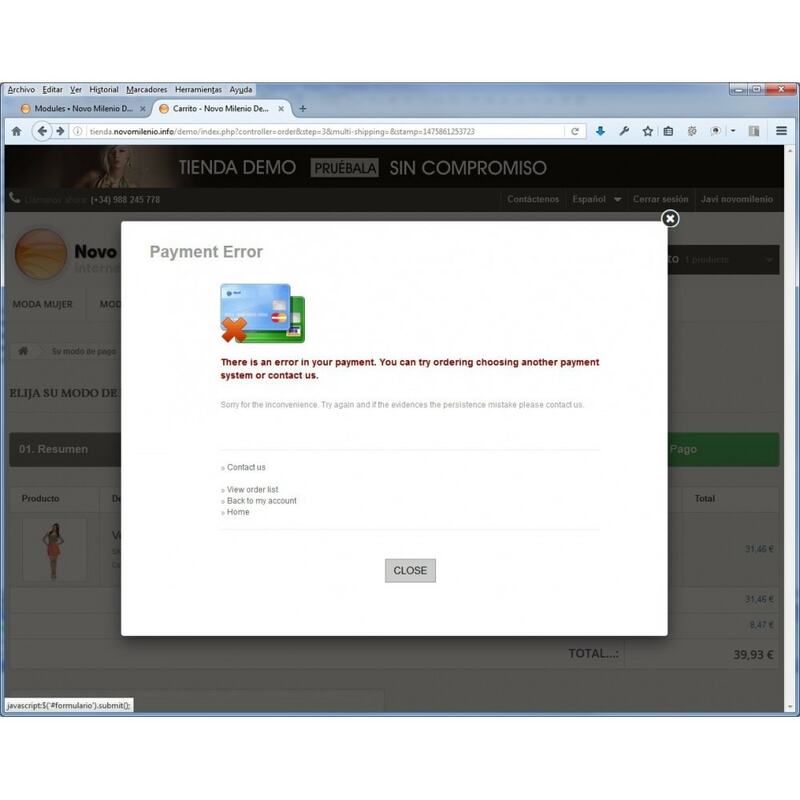 Security model with online communication and response required for safety of transactions. Simple installation, download the module, upload in the ​​module section, install and ready.